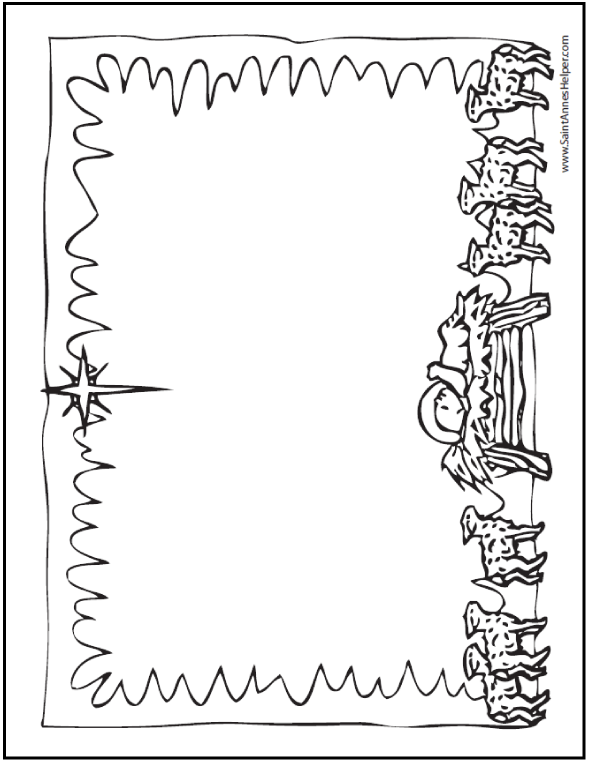 This coloring page can also be used as Baby Jesus writing paper. It shows the Star with Jesus in his manger with lambs all around. Lovely Nativity stationery. Color this Baby Jesus writing paper or stationery.